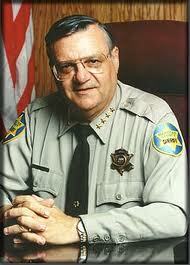 WASHINGTON – Score: Justice Department 1, Maricopa County, Az., Sheriff Joe Arpaio 0. Sheriff Joe and his department, after much resistance, entered into a legal settlement Thursday to fully cooperate with the Justice Department, which is investigating allegations of civil rights violations involving patrols and jail operations. In announcing the settlement, the Justice Department said that the sheriff’s department had already allowed it to conduct more than 220 interviews and review hundreds of thousands of pages of documents. It also conducted interviews with Sheriff Arpaio. The investigation is ongoing. The Justice Department has been investigating allegations of discrimination on patrols and in jail and unconstitutional searches and seizures. Last Sept. 2, the Justice Department said it filed a lawsuit to get access to information “after exhausting all cooperative measures to gain access” to documents and facilities. “After numerous requests for access to information, the department was forced to resort to litigation to compel the sheriff’s office to provide us with full access to facilities, staff and documents, as required by federal law,” Thomas E. Perez, Assistant Attorney General for the Civil Rights Division said in a statement. Posted: 6/3/11 at 8:15 AM under FBI, News Story.